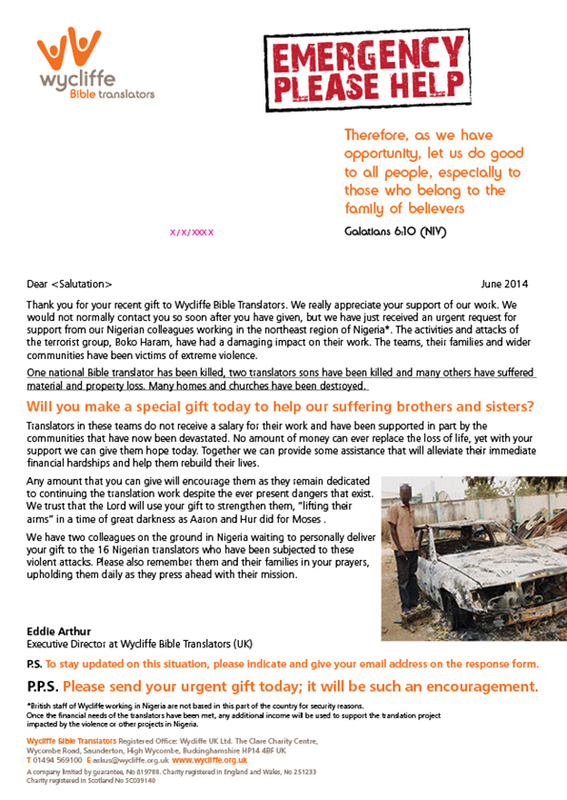 Following an urgent request for help from colleagues in Nigeria due to the impact of regional terror activities, Wycliffe wished to make their first emergency appeal to their donors. 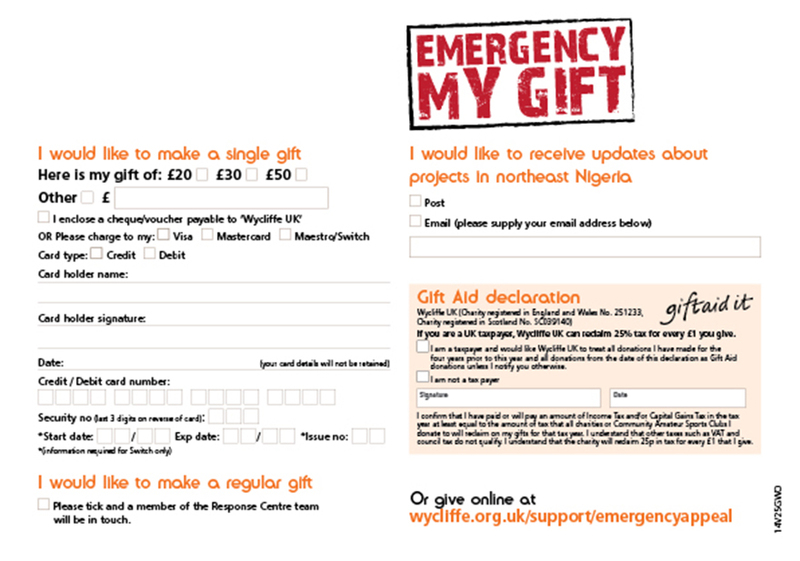 Working with Wycliffe, we designed, produced and distributed a single page, short letter with an attached response form to their existing donors. It was the most successful appeal Wycliffe have ever done, raising well over £100K. Despite the time sensitive nature of the campaign (it was sent when Boko Haram was specifically in the news), responses were received over several months, indicating that the letter was kept by recipients before responding.